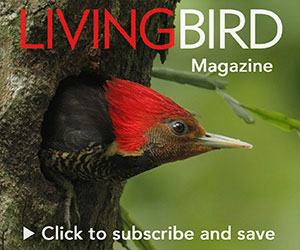 From the Spring 2015 issue of Living Bird magazine. In the pitch-black predawn darkness on this patch of Wyoming sagebrush country, the stars still glitter overhead, but they’re forced to compete with the pulsating lights of a sprawling industrial complex on earth. There is no still moment in the dark here anymore, just a continual subsonic tremor—the kind of low frequency rumble that you don’t so much hear with your ears as feel in your lungs. The gas-drilling frenzy was just ramping up here in 2004 when National Geographic photographer Joel Sartore visited to document the fantastical, chest-puffing spring display of male Greater Sage-Grouse. This spot was still a flat, grassy opening amid a dense sagebrush tapestry in the forefront of the Wind River Range, the perfect setting for a lek. At that time, the sage-grouse came in numbers that filled the entire frame of Sartore’s camera. Greater Sage-Grouse numbers on this lek in Wyoming have declined due to intensive development for natural gas extraction. The photo above was shot by National Geographic photographer Joel Sartore in 2004. The same lek area is pictured at the top of the page in a 2009 photo by Gerrit Vyn. Sage-grouse still come to this lek every morning in spring. They arrive in small groups, streaking through the darkness on arched wings, then hitting the air brakes with a rapid flutter of feathers to drop on the lek. Immediately it begins—the whoop-whoop, pop-pop of males vigorously thrusting yellow air sacs out of a billow of snow-white feathers draped around their neck. From their behavior, these grouse don’t seem bothered by the gas field next door. Their ancestors have been coming here since long before there was drilling; they have a cultural draw to this place. But the numbers tell a different story. In 2007, 184 males were counted on this lek. By 2011, peak attendance on the lek was below 100 males. Last year, the peak count was 43. This satellite image, from 2014, shows the approximate location of the lek in the two photographs above. The closest well pad is about 1,000 yards from the lek. It’s a story that has played out repeatedly across the West during the oil and gas boom of the past two decades, sparking the biggest wildlife controversy yet in the 21st century. But on this much there is universal agreement: energy development has been bad for sage-grouse. Seven of seven studies on sage-grouse population response to oil and gas drilling conducted in the mid-2000s reported negative effects. Historically low populations of sage-grouse made the bird a prime candidate for protection under the Endangered Species Act, which would in turn endanger energy development in Wyoming. So the state proactively issued its own plan for protecting core habitat for Greater Sage-Grouse, in hopes of staving off a federal intervention. It is a conservation plan that has driven a wedge between conservationists. Some say the core plan is a big win, a turning point for a species in a decades-long decline. Others say the plan is weak, doesn’t do nearly enough for sage-grouse, and will not stop the decline. Now more sage-grouse conservation plans are in the works at state and federal agencies in all 11 states of the bird’s range. Unprecedented coalitions are forming across the West that include state agencies and federal, conservationists and energy companies, private ranchers and public land managers. States have invested more than $200 million in sage-grouse, and the federal government has invested $300 million—with another $200 million on the way. The grand total spent on sage-grouse conservation is getting into the ballpark of building a new sports stadium. “This whole sage-grouse deal, there’s never been a larger conservation effort on the planet directed toward a single species,” says Tom Christiansen, sage-grouse program coordinator for the Wyoming Game and Fish Department. It’s all coming to a head this September, when the U.S. Fish and Wildlife Service is due to announce a final decision on whether this species ought to be listed under the Endangered Species Act. And the stakes are big in Wyoming, which is #2 in the nation for energy production and the #1 state for Greater Sage-Grouse— with a population of 100,000 to 150,000, more than one-third of the Greater Sage-Grouse left in the world today. As goes Wyoming, so goes the sage-grouse. Greater Sage-Grouse increasingly contend with energy development in the West. Photo by Gerrit Vyn. To put the issue in perspective, the federal listing of the Northern Spotted Owl affected forests in Oregon, Washington, and northern California. The listing of the Greater Sage-Grouse would affect 165 million acres from California to North Dakota. It’s an area of the West where oil and gas production has doubled since 1990. The Western Energy Alliance calculated that a federal Greater Sage-Grouse listing could cost more than $5 billion in annual economic output. The fragmentation of the sagebrush steppe ecosystem cost Greater Sage-Grouse dearly. Over the past two centuries, settlement, farming, ranching, mining, sprawling urban development, and fossil-fuel extraction have cut the Sagebrush Steppe almost in half, and sage-grouse numbers have dropped from an estimated 16 million presettlement to a few hundred thousand today. According to the North American Breeding Bird Survey, Greater Sage-Grouse populations have declined by more than 60 percent over the past five decades. The Greater Sage-Grouse's range has shrunk by about half, and its population has declined by as much as 95%, from pre-settlement estimates as high as 16 million to between 200,000 and 500,000 birds today. (Midpoint of current population estimates depicted above). Figure by Matt Kania, Map Hero. An Endangered Species Act listing for Greater Sage-Grouse has been batted back and forth in federal courts since 2006. With uncertainty looming, Wyoming governor Dave Freudenthal sought to prevent a federal takeover of his state’s sage-grouse by establishing a policy for the conservation of their core areas in 2008. The core plan was written by a multidisciplinary team made up of elected officials, ranchers, and representatives from county, state, and federal agencies; oil, gas, and mining companies; and conservation groups (including Audubon). “I’ve never been in a meeting with 30 different people wearing all kinds of different shoes…work boots, hiking boots, high heels…all working together on a collaborative solution,” says Mary Flanderka, the Wyoming Game and Fish Department’s Habitat Protection Supervisor for sage-grouse. The next Wyoming governor—Matt Mead—followed up with his own revised core area plan in 2011. The plan identified 31 core areas for Greater Sage-Grouse populations that altogether covered about a quarter of the state’s land area, and included more than 80 percent of the bird’s population in the state. The plan recommends that new energy leasing be done outside of core areas, but still allows leasing and development inside cores. The plan’s regulations mostly focus on new energy development in core areas, the key stipulations being the establishment of a 0.6-mile no-surface-occupancy buffer zone around leks and a 5 percent cap on all surface disturbances with an average density limit of one disturbance per 640 acres (or one well-drilling pad per square mile). Because it’s an average, that could mean six well pads clustered in one sec ion with no pads in five other surrounding sections. The core plan team set the disturbance density limit based on research that showed it to be the disturbance threshold that sage-grouse will tolerate. The federal government was impressed with the plan: the USFWS issued a statement praising it as “an excellent model for meaningful conservation of sage-grouse.” The Bureau of Land Management (the biggest landowner in the West) used the state core plan as a blueprint for crafting their first regional management plan for sage-grouse on federal lands, issued out of the Lander, Wyoming, office. A lone Greater Sage-Grouse on a snowy sagebrush landscape. Photo by Gerrit Vyn. Greater Sage-Grouse are a bit like land mines; they don’t explode into the sky until you’re just about right on top of them. In late January, a flock huddled deep among clumps of frosted sagebrush and freshly fallen snow at the bottom of a draw, waiting until the last possible moment before a pickup truck driving along the BLM access road set them off. The Sagebrush Sea is a one-hour documentary about life in the sage through the eyes of the Greater Sage-Grouse, and explores the impact humans are having on North America’s most contested landscape. Visit PBS.org/nature to watch the film. Whoosh!—a cloud of snow crystals sparkled in the cold air as a flock of more than 100 sage-grouse jetted off into the distance. Local BLM biologists say these sage-grouse migrate down from the higher elevations where the snow gets deep. They come from 30 to 60 miles away to nibble on the exposed sagebrush leaves that stick above the windswept snow, and to eat the alkaline dirt. But this wintering area on federal land is not protected by the core plan. It’s leased for energy development, and an energy company has proposed to drill 3,500 gas wells in the area. BLM biologists are trying to get it protected. They say more than 1,000 sage-grouse gather here in winter. Wyoming’s core plan instructs that “All efforts should be made to minimize disturbance to mature sagebrush cover in identified winter concentration areas.” In April, the Casper Star Tribune newspaper reported that the energy company has halted plans for exploratory development of the area until federal and state agencies have completed reviews of the project and its potential impact on sage-grouse. Ultimately, Governor Matt Mead will decide on whether to protect this area under the core plan. Wyoming's core area strategy is based around leks, but winter habitat is also key to the survival of many sage-grouse populations. Some birds migrate away from their leks and winter in unprotected areas. Energy companies are pressing to develop this largest known sage-grouse wintering area that draws thousands of grouse from core areas 30 to 60 miles away. The planned project calls for the drilling of 3,500 gas wells in this critical habitat. The Pinedale Anticline gas field was one of the prime areas for the drilling boom in Wyoming at the millennium. Inadequate protection of wintering areas is one of a litany of criticisms lobbed by some conservation groups at the state core plan and first BLM regional plan. Last summer, a coalition of six groups including the Center for Biological Diversity, WildEarth Guardians, and the American Bird Conservancy issued a scorecard that gave the first BLM regional plan a failing grade. The criticisms began by saying that no oil or gas leasing should be allowed in core areas and then picked point-by-point through the regulations—saying that the 0.6-mile buffer around leks should be a bigger 4-mile buffer, and the 5 percent density disturbance cap should be a lower 3 percent cap. In all, the scorecard failed the BLM’s Lander plan on 24 of 32 points, with each failing point documented by cited scientific research. 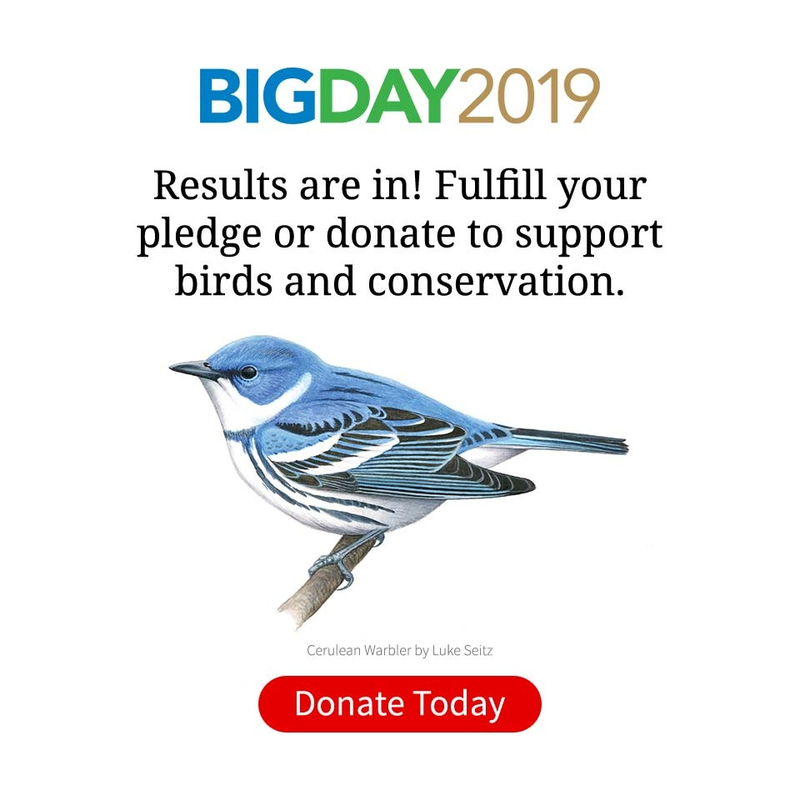 “The first [BLM] plan, the Lander plan…fell significantly short in not following the best available science,” says Steve Holmer, senior policy advisor for the American Bird Conservancy. He says that although the coalition behind the core plan is admirable, the plan continues to allow too much energy development in grouse habitats. “Our concern is [the downward] trajectory of sage-grouse [populations]. It’s also important to recognize that grouse protection got delayed for political reasons for over a decade,” Holmer says, citing the back and forth in the federal courts. The delays continue today, as a rider attached to the 2015 federal budget bill issued a one-year ban on the U.S. Fish and Wildlife Service actually listing sage-grouse under the Endangered Species Act, though Secretary of the Interior Sally Jewell has said the agency will still make a decision this September on whether a listing is warranted. Christiansen says a 3-mile buffer might be a good alternative if there weren’t already a protected core area with a 5-mile radius, a smaller buffer around the lek itself, and limits on well density and total surface disturbance throughout the core area. But, he says, the total package of core protection is greater. Brian Rutledge is the vice president of Audubon Rockies, and he’s been working on sage-grouse issues in the West for more than a decade. He was part of the team that developed the Wyoming core area plan, and yet he had criticisms—namely, that there aren’t any reserves set aside for Greater Sage-Grouse. “It’s going to be really difficult to do now because we bought into the program,” Rutledge says about reserves in Wyoming. And yet, he’s confident that the entire package in the plan was the best deal possible for sage-grouse. The Jonah Field is a famous example of the first mega gas fields of the modern boom. At Jonah Field, the number of wells skyrocketed from around 50 in 1997 to 1,500 in just 10 years. Jonah is among the top ten producing gas fields in the United States. Development density there reached 16 pads per square mile. New drilling continues at Jonah today. The Pinedale Anticline grew into the third largest gas field in the United States, and new drilling continues today. Rutledge points out that Wyoming’s core plan created the momentum for a wave of other sage-grouse conservation plans throughout the West, and in every case, oil and gas companies and ranchers are at the negotiating table. “Without corporate buy-in, we’re not going to have conservation,” Rutledge says. Holly Copeland, a landscape ecologist at The Nature Conservancy’s Wyoming office, authored a research paper evaluating the potential effectiveness of the core plan. Her modeling predicts the plan will significantly stem the loss of sage-grouse populations, though she’s not sure if it will be enough to stop a continued long-term decline. Copeland says the effectiveness of the plan depends on how it is put into practice. She says energy development could be placed in a way that is more favorable to grouse, or less. “There’s squishiness in the siting,” she says. Holloran feels the core plan is a good one for stabilizing a declining population, but it needs to do more. Holloran says that the core strategy must now evolve to address strategies to grow the sage-grouse population, and that means habitat restoration, because much of what’s left of the sagebrush steppe ecosystem is not healthy. The unfortunate legacy of the 19th-century open range with tens of millions of hungry sheep and cattle roaming the West lives on, because the sagebrush steppe is a cold desert ecosystem and vegetative regrowth is slow. Today the BLM manages livestock grazing on federal lands through permits and leases, but that won’t undo the degradation, because many native plant species have been effectively eliminated in many areas. And those missing plants can be important for sage-grouse. Cool season bunch grasses provide cover for nesting hens, and a diversity of forbs provides the insect base that newly hatched chicks need to bulk up on protein. Holloran likens the Herculean task of rebuilding the sagebrush steppe to restoring ecosystem complexity after a clearcut. “Take an old-growth forest, cut it down, then eliminate the entire seedbank. You’ll never get it back with no seeds to start it,” he says. The drilling of 3,500 wells would significantly impact this intact sagebrush-steppe habitat in the proposed Naturally Pressured Lance gas field project area. Sage-grouse chicks huddle at the base of a sagebrush shrub among flowering forbs. A diversity of grasses and forbs in a healthy sagebrush ecosystem is important for breeding sage-grouse. Healthy plant communities in sage-steppe habitat include abundant seasonal grasses and forbs, food for sage-grouse, pronghorn and cattle. A legacy of overgrazing that stretches back 150 years has degraded sagebrush steppe habitat to the point where many native plant species have been eliminated from large areas. Habitat restoration would result in better breeding for grouse and more nutritious, sustainable grazing areas for livestock. The Sage Grouse Initiative, funded by the Farm Bill through the Department of Agriculture, provides a model for rebuilding sagebrush plant communities. The initiative has been a funnel for the hundreds of millions of federal dollars spent to restore and conserve private lands across the sage-grouse’s range. It’s a good deal for ranchers, because restored sagebrush with healthy grasses makes for more nutritious forage for livestock. In five years, the effort has restored more than 4 million acres of high-quality habitat, an area twice the size of Yellowstone National Park. But that’s only about 2 percent of the sagebrush steppe. The bulk of restoration work falls on the BLM, which manages more than half (61 million acres) of the habitat in the Greater Sage-Grouse’s range. And the BLM doesn’t appear to have the bandwidth for a massive sagebrush ecosystem reconstruction effort right now, given that many biologists complain the agency doesn’t do enough monitoring of the grazing that’s occurring on federal lands today. Brian Rutledge of Audubon Rockies agrees that restoration is vital to sage-grouse conservation. “The long-term answer is to restore the carrying capacity of our sagebrush steppe,” he says. And, he has an idea for generating the funds to get it done. In a presentation to the Western Governor’s Association, Rutledge proposed restructuring the tax on oil and gas drilling on federal lands. Currently, half of the tax goes to the state and half to the federal government, both of which pocket the money in general funds. Rutledge says a portion of that money should be earmarked for sagebrush restoration. Furthermore, he believes the tax should be expanded to any private use of public lands—mining, grazing, wind turbines, gravel pits. “When you have companies pulling billions out in gas value, a significant percentage of that should be going back into the land,” he says. A Greater Sage-Grouse lek at dawn. Photo by Gerrit Vyn. On another lek in western Wyoming, the mottled brown hens are conducting an inspection, but they don’t show it as they mill about, seemingly oblivious to the commotion around them: Male sage-grouse furiously unleash popping sounds with heaving chests. Rival males flap their feathers in a wingbeat scuffle. Then one morning, as sunrise casts first light on the lek, the hens gather around a few prime males. These were the dancers with the stamina to keep displaying when others could not. These were the first to return after a coyote disturbed the lek. These are the fathers of the next generation. The breeding displays on this lek are so vigorous that on the first full moon of spring, the sage-grouse dance all night long in the moonlight. This is a core area, where rolling sagebrush runs all the way to the horizon. Headphones recommended: this “binaural” recording is specially encoded to recreate a 3D listening experience. It will take time to measure how sage-grouse respond to the protection of core areas. Many biologists believe sage-grouse populations rise and fall in regular fluctuations about every 10 years. Fifty years of data from annual counts of male sage-grouse on leks in Wyoming bear that pattern out—peaking 1991, bottoming out in 1996, then peaking again in 2006. The population appears to have been in an ebb phase recently, down every year since that ’06 peak to 2013. But over the last two springs lek counts of males in Wyoming have been up. And across their range in the U.S., Greater Sage-Grouse populations are up 63 percent over the past two years. Year-to-year increases are more attributable to the cycle than habitat conservation on the ground, says Christiansen. He says the real measure is where the 10-year peaks are—is next sage-grouse population peak around 2016 higher than the one in 2006? On a lek near Lander, Wyoming, this male Greater Sage-Grouse squeezes nearly a gallon of air through elastic sacs in his esophagus, creating a resounding boom that carries across the sage steppe. A female Greater Sage-Grouse inspects the displays of males on a lek during the first days of spring. The male Greater Sage-Grouse features physical adornments that may be useful in attracting mates, such as bright yellow eye combs and a billow of snow-white feathers draped around the neck. Male Greater Sage-Grouse put in long hours displaying on a lek in breeding season. When there’s a full moon in early spring, sage-grouse sometimes display all night long. Although many male Greater Sage-Grouse may display at a lek, only one or two males get picked by a majority of the females for mating. But in the here and now, backers of the core plan say the industry response has been a clear metric of success. An analysis by The Nature Conservancy showed there has been a 40 percent reduction in the area the BLM has leased for oil and gas exploration since the core policy was first enacted in 2008. As far as the type of drilling that is occurring, permits for horizontal drilling have increased more than 1,000 percent since 2006, which means there is more directional drilling being done from a single well pad, a practice with far less surface disturbance than vertical drilling. In May the federal government released its sage-grouse habitat management plans for BLM and U.S. Forest Service lands across several Western states, including Wyoming. The various plans are customized somewhat for each state, but they all share the goal of minimizing surface disturbance to sage-grouse habitat. The federal lands management plans in Wyoming sync up with the Wyoming core plan. The question for the U.S. Fish and Wildlife Service now as its court-ordered September 30 deadline looms: Is this collection of federal and state management plans across the 11 states of the Greater Sage-Grouse’s range enough to warrant keeping the bird off the Endangered Species list? “Without these BLM and Forest Service management plans, the Greater Sage-Grouse have little chance of long-term recovery because sagebrush habitat would continue to be lost, and an ESA listing would definitely be warranted,” says Holmer of the American Bird Conservancy. Audubon’s Rutledge says these plans mark a new era for people and sage-grouse in the West. Christiansen of the Wyoming Fish and Game Department is happy that lek counts were higher this past spring, another sign of the population’s episodic increase. But he says the USFWS will be looking for more as it weighs Endangered Species Act protection. The next sage-grouse population peak, perhaps next year, will hopefully be much higher than 2006—providing proof that the core plan and all the efforts across the West are turning this around. But peak will still probably be a small fragment of what populations once were. The much more daunting mission of Greater Sage-Grouse recovery, of rejuvenating a sagebrush sea that once ran from the Black Hills to the Cascade Range, still awaits.